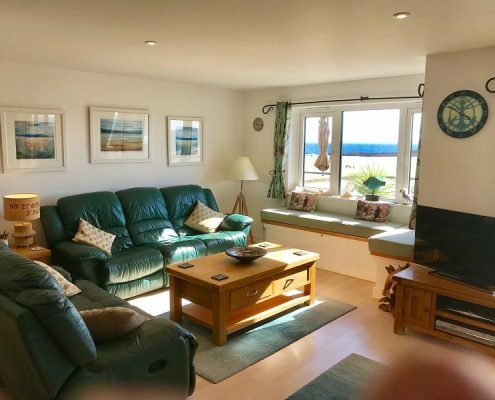 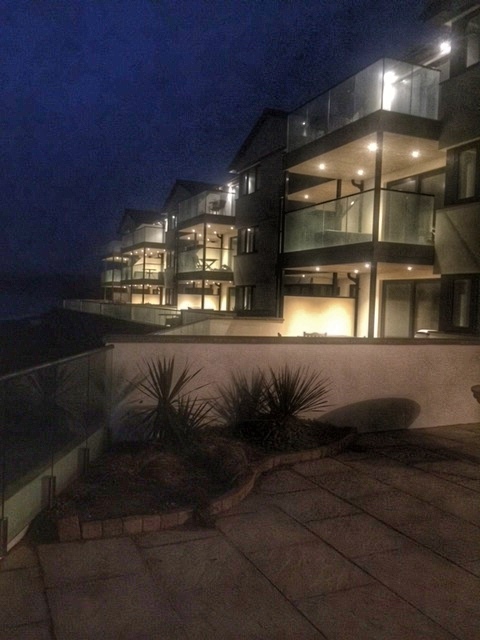 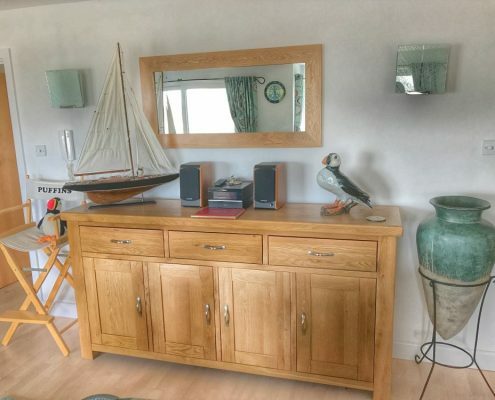 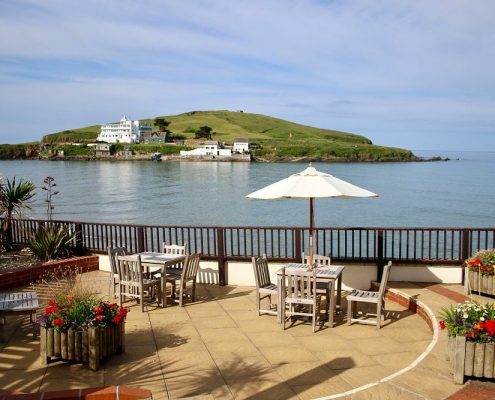 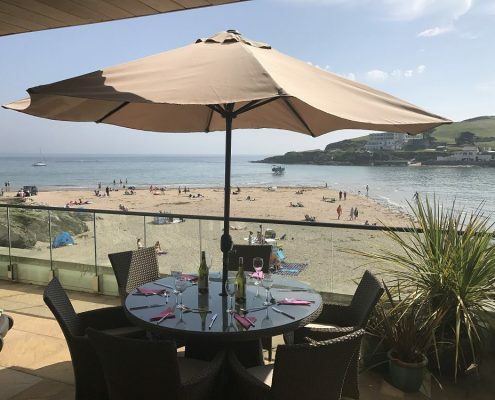 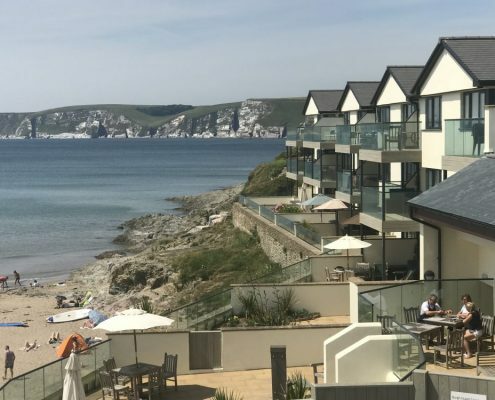 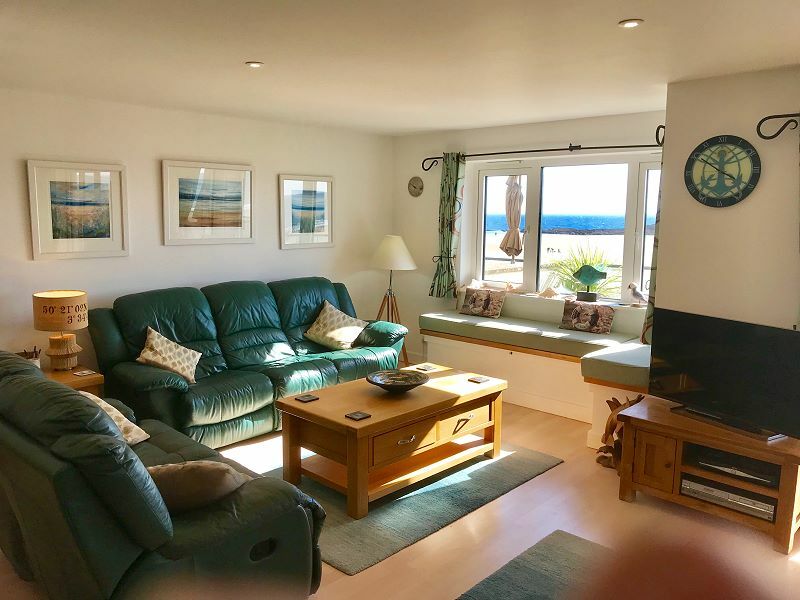 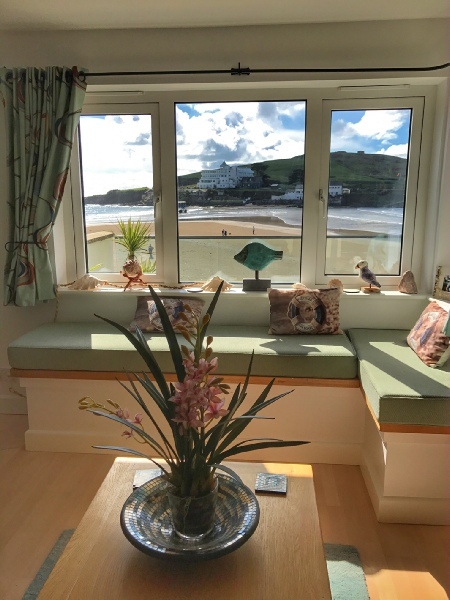 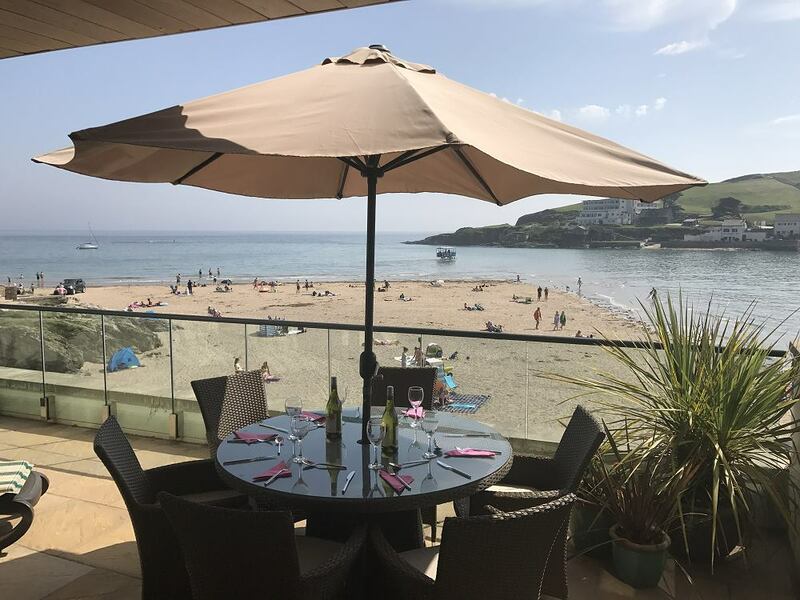 The modern, beautifully appointed apartment has two en-suite bedrooms and a large, bright, open plan living, dining and kitchen area with stunning views over the beach to Burgh Island. 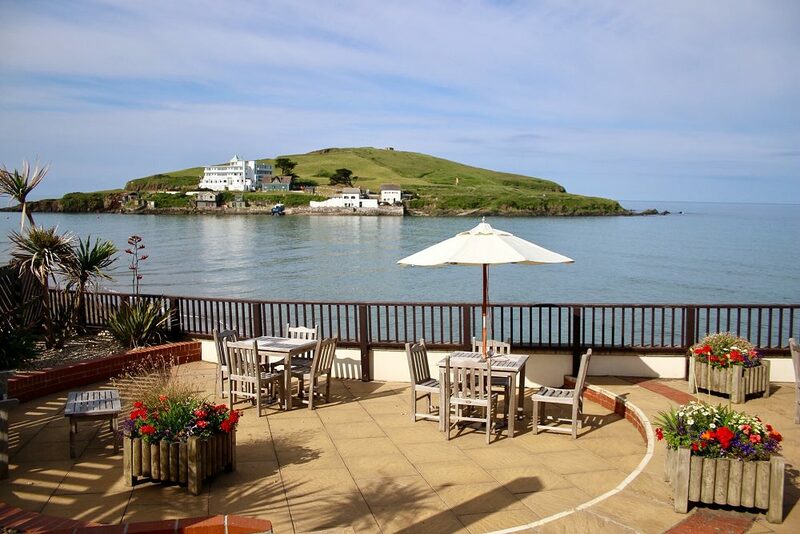 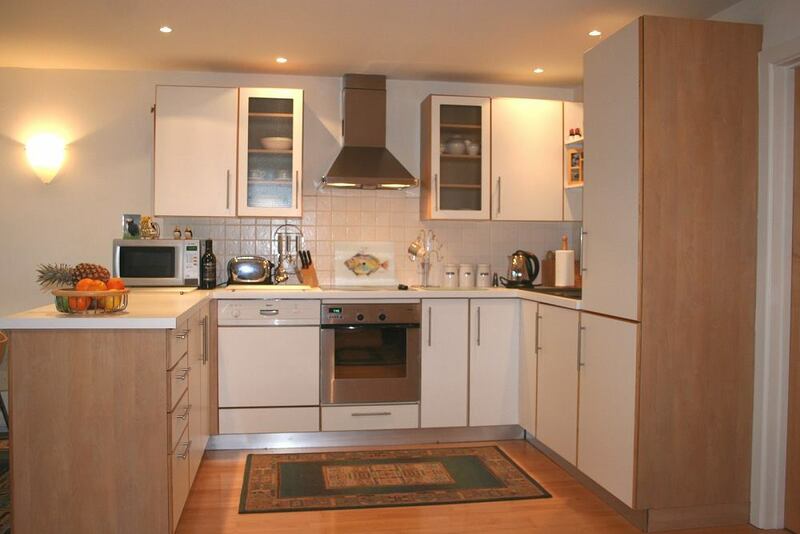 With use of the exclusive Leisure Club and excellent Bar/Restaurant, everything is on hand for a wonderful holiday. 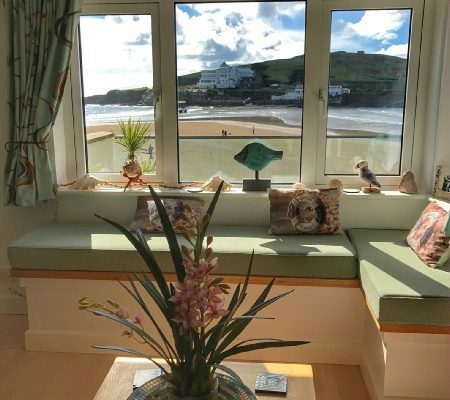 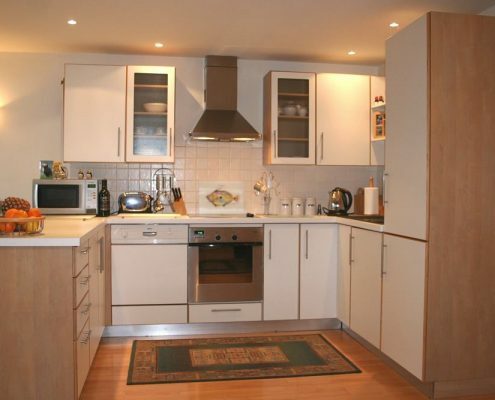 Superb, bright open plan living/dining/kitchen area with patio doors, large picture window with sea views and window seat. 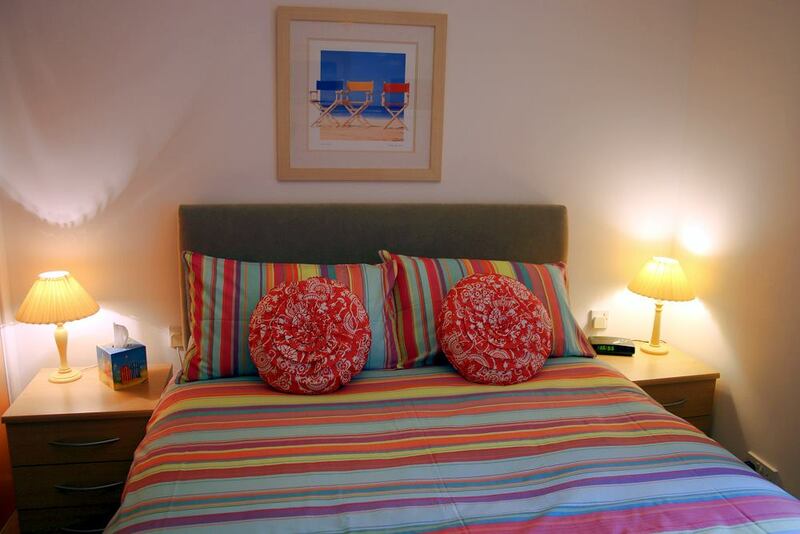 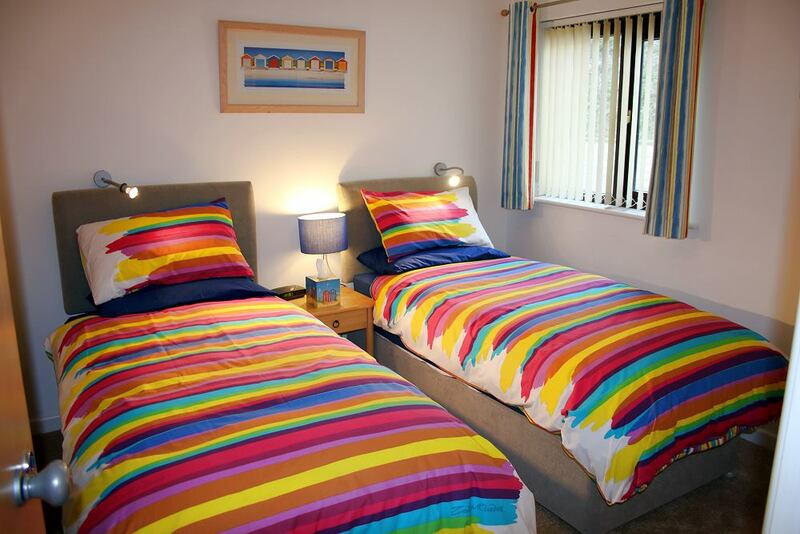 Kingsize bed, TV with Freeview and en-suite bathroom. 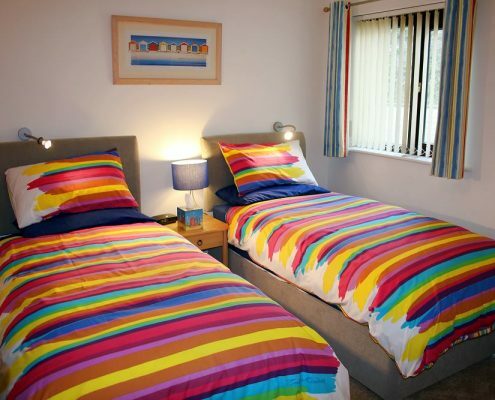 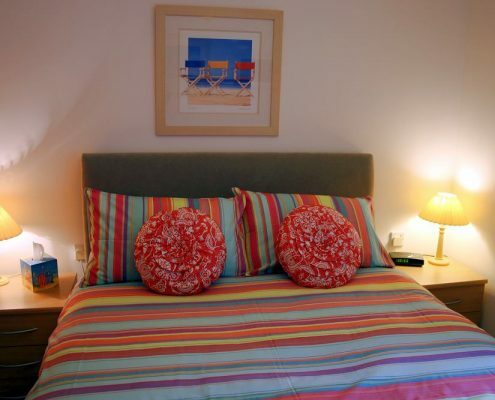 Twin beds, TV with Freeview and en-suite shower room. 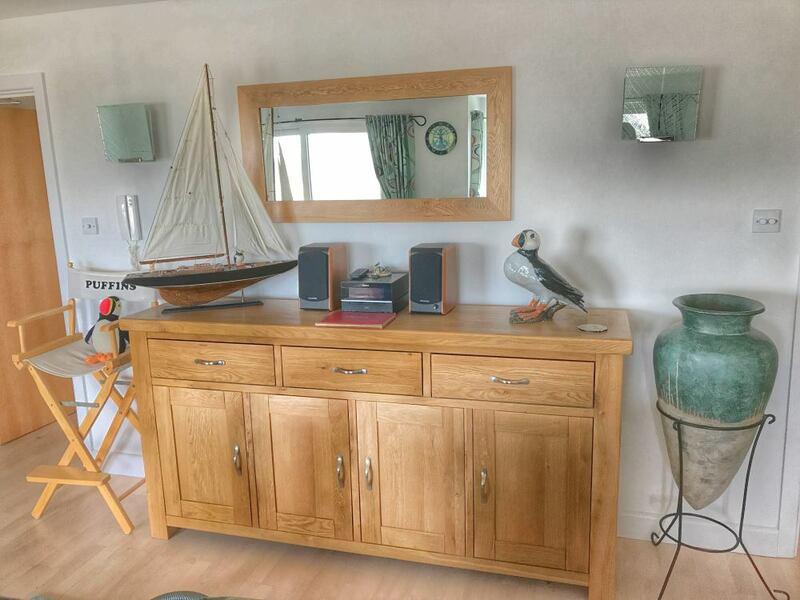 Sky+ TV, DVDs , Videos, CDs, games and books. 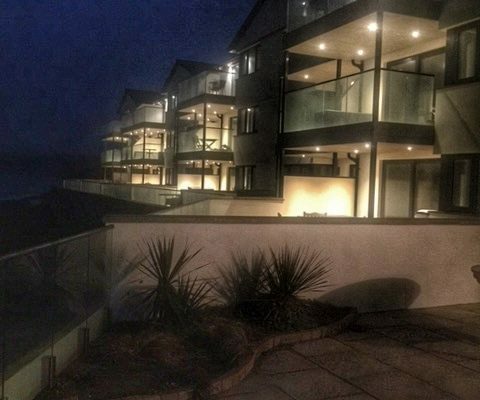 Guests at Puffins have the use of the exclusive Leisure Club with heated pool, spa pool, sauna and gym and ‘The Club’ Bar/Restaurant. 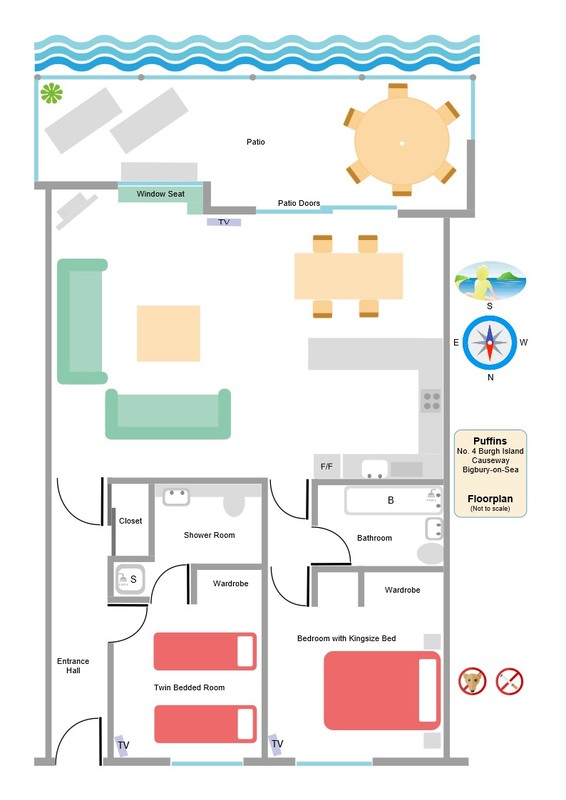 There is an allocated space for one car plus additional parking for guests. 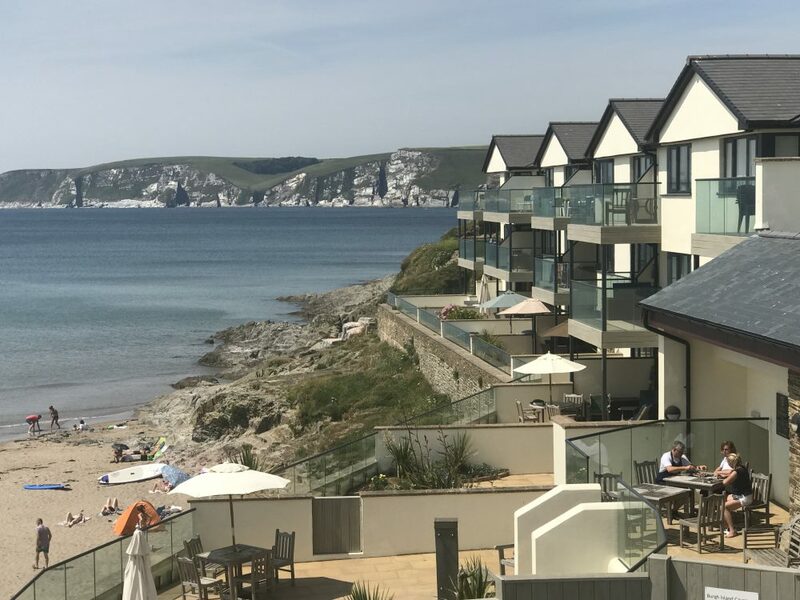 Everything is included in the price, linen (excluding cot linen, beach/swimming towels), towels, heating, electricity and the use of the Leisure Club, whose facilities are open from 10am daily.